A heavy-lift crane lowers the first half of the C-level work platforms, C south, for NASA’s Space Launch System (SLS) rocket, for installation on the south side of High Bay 3 in the Vehicle Assembly Building (VAB) at NASA’s Kennedy Space Center in Florida. 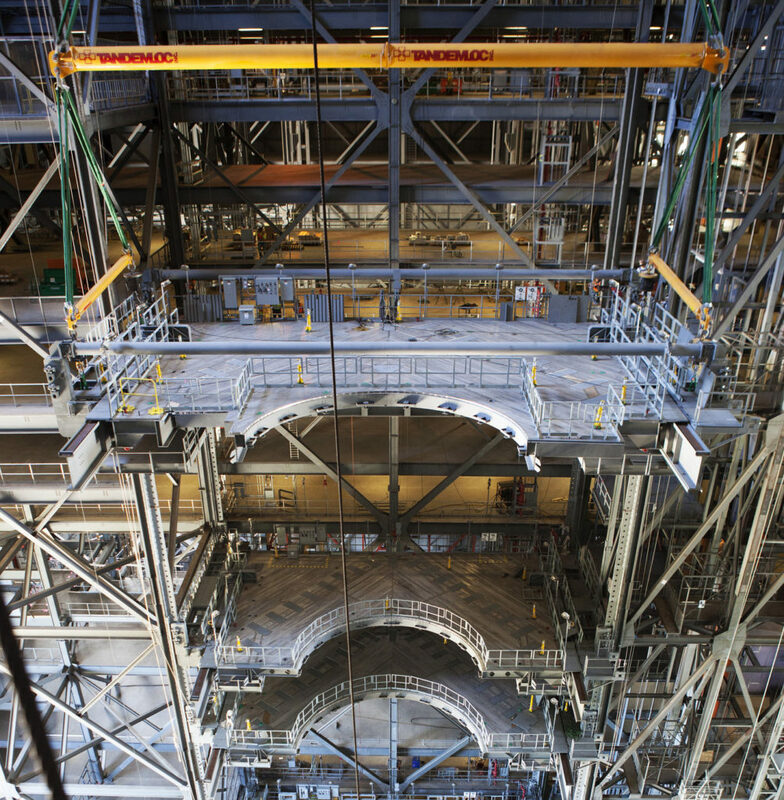 The C platforms are the eighth of 10 levels of work platforms that will surround and provide access to the SLS rocket and Orion spacecraft for Exploration Mission 1. In view below Platform C are several of the previously installed platforms. The Ground Systems Development and Operations Program is overseeing upgrades and modifications to VAB High Bay 3, including installation of the new work platforms, to prepare for NASA’s Journey to Mars.